I should not be looking forward to this. But I am. Image courtesy of IMP Awards. 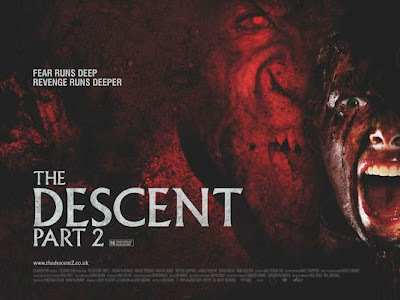 I LOVE The Descent. I think it's one of the best horror movies to come out this decade. I'm pretty sure the second one will ruin it for me, though. I plan to skip it. Yeah I agree about THE DESCENT. And you're probably right about this one, but I'm excited anyway. The trailer isn't bad at all. I still remember seeing this during a free screening, not expecting much and boy was I completely blown away by how good a horror movie it was (specially with the original ending and not the *safe for all americans* one) so I know this second go-round is going to be bad and yet, I'm going to be the first in line when it comes out.